Which Problems Can Upper Eyelid Surgery Be Used for? Upper eyelid surgery is a procedure that is commonly associated with rejuvenation. The procedure can be used to tackle problems such as drooping eyelids and hooded eyelids, which can make the patient appear older or even cause problems with vision. Patients who want to learn more about eyelid surgery and upper eyelid surgery in particular can find more information on the Dr Lanzer website. Below, you will find info on upper eyelid surgery and the problems it can treat. So, if you are interested in this treatment, please read the information provided to you by the Dr Lanzer team. What Is Ptosis and How Can Upper Eyelid Surgery Help? Ptosis is a medical term used to describe drooping upper eyelids. The problem can occur in one or both eyes, so while most patients will require treatment on both eyes, some patients only have a problem on one side. Unfortunately, ptosis is a phenomenon commonly associated with the natural ageing process, so many people can encounter this problem at one point or the other. However, the natural ageing process is not always the cause of ptosis, since some people experience this type of problem even in their childhood; this is referred to as congenital ptosis. Ptosis occurs when a patient’s eyelid edge is not on its normal position. To correct the problem, a cosmetic surgeon can remove fat and excess skin from the upper eyelid area. What Is Dermatochalasis and How Can Eyelid Surgery Help? Dermatochalasis could be described as a more severe form of ptosis. In case of dermatochalasis, the overhang of the upper eyelid is so severe, it blocks the patient’s field of vision. When a patient suffers from dermatochalasis, a surgeon can perform upper eyelid surgery to remove unwanted fat and skin, subsequently restore a patient’s vision. How Is Upper Eyelid Surgery Performed? A blepharoplasty is performed by making a strategic incision on the eyelid. We mention the word strategic here, since the surgeon aims to make an incision that will not be easily visible as a scar post-surgery. Even though patient will be left with a tiny scar after their procedure, the scar of the upper eyelid is usually hidden in the natural eye crease. Of course, the incision techniques are not limited to incision made in the natural eye crease. 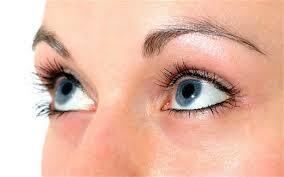 There is also a procedure called the trans-conjunctival blepharoplasty. With this technique, the surgeon makes the incision from the conjunctiva, leaving it hidden completely. However, this type of technique is only used on the lower eyelid, which means it is irrelevant for upper eyelid surgery. Please note that some patients may suffer from a condition that may require an adjustment of the incision technique; this may include patients who suffer from pre-existing conditions such as dry eye syndrome, palpebral skin laxity, and eyeball prominence. If your procedure requires a different approach, this will be mentioned during your initial consultation. How Can I Maximise My Recovery from Eyelid Surgery? In addition to following the guidelines provided by the Dr Lanzer Clinic, there are some small things patients can do to maximise their recovery. Below, we have listed several things patients can do during their recovery process. When resting or sleeping, it can help to prop your head up a little more than usual. By elevating the head, you can reduce some of the swelling experienced after the procedure and promote the healing process. While heavy exercise is advised against post-procedure, patients should do some light walking to keep their blood circulating. Light walking reduces the chance of post-operative complications. After your procedure, you will be given some medication at the Dr Lanzer Clinic; this medication is meant to prevent infection and reduce pain. Please take the medication as instructed by the Dr Lanzer Clinic to maximise the healing process. During your recovery, it is essential to protect the treatment area against the sun. When heading out, make sure to wear a pair of sunglasses to counter the effects of direct sunlight and the wind. What Side-Effects Are Associated with Eyelid Surgery? Most patients will experience some bruising and swelling post-surgery; this is quite normal after eyelid surgery. Patients can also experience puffy eyelids and irritated eyes. These symptoms can last for several weeks after the procedure but subside as your body heals. During the recovery process, it is still necessary to look out for unusual symptoms that may point to a complication. If you experience any side-effects that are out of the ordinary, it is advised to contact your doctor immediately for an emergency appointment. Of course, if you have any concerns, you can also contact the Dr Lanzer Clinic. Do you have any additional questions regarding side-effects after eyelid surgery? Feel free to contact Dr Lanzer’s medical team via telephone, email, or the website contact form for more information.